A long time ago, Microsoft launched the infamous Millenium edition supposed to replace the now-older Windows 98. You all know it: it didn’t. The OS was tagged as a failure and it remained in history as a fine chapter in the “Not like this” chapter. Win 98 kept its place on the hard drive and Win ME kept losing consumer appeal until Microsoft decided to move the project altogether in the Recycle Bin. From my personal experience, all I can say is that I found Win ME to be an excellent crasher, and thus, the perfect gift for an ex-girlfriend who had been cheating on me. Two bits of news caught my eye recently: the first one was about the Windows Vista Service Pack 1 being a failure in terms of speed. The other popped up today: the third (and last) service pack for the old Windows XP acts like wonder-fuel and actually speeds up the OS. The situation is rather ironic, to say the least. It’s commendable that Microsoft is still doing a good job when it comes to XP. Then again, the XP is no longer part of Microsoft’s future plans (we all know that the company would like to see it replaced by a Vista copy) as soon as possible. On the other hand, Microsoft has been striving to push Vista copies off the shelves for some time, and with little success when compared to initial expectations. The adoption rate up to this point has been slow (if not downright sluggish). Furthermore, PC makers and consumers have been bugging Microsoft to continue to offer XP as a legitimate alternative, which the Redmond giant eventually had to do. The release of the first Service Pack for the OS should’ve improved things up to the point that many reluctant users would feel the need to upgrade. But theory and practice are two distinct things and SP1 proved more than enough: the Vista OS featuring the Service Pack runs pretty much as fast as a Release To Manufacture version, with the differences between the two competitors being around 1% or 2%. In the mean time, the 10% speed boost for Windows XP came up as an unexpected (and thus, more pleasant) surprise. Judging from these results, users would rather feel the need to hang on to their XP copies for as long as they can. After all, Microsoft did prove that the latter OS is a better deal. From where I’m standing, the Vista is standing right where Win ME used to stand. I doubt that Microsoft ever intended the SP1 to be a failure. They knew the stakes were high and I bet they’ve been working hard on the project. But it went wrong and, right now, the only plausible explanation is that Vista must be a clear case of fubar. It was released too soon, and now it’s too hard to fix it, if not impossible. Just like Win ME. I’d like to see Microsoft contradicting me in the near future, though I doubt we’ll see much improvement before a second service pack arrives. 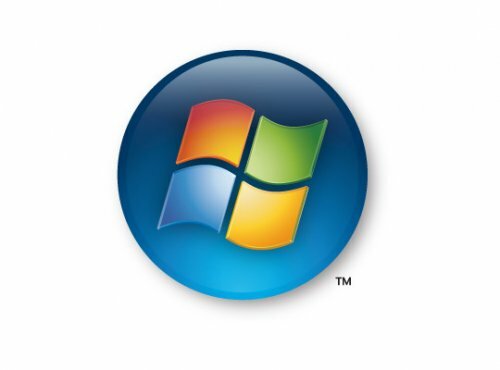 Until then, I think it’s safely to assume that Microsoft’s latest OS has gained a good nickname: Windows VE.